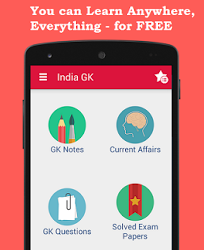 19, 20 January 2016 Current Affairs MCQs, Quiz, Questions: Current Affairs for January 2016, Daily Multiple Choice Questions (MCQs) for India GK, World GK and current affairs with Collection of daily objective type Question by www.Indiagk.net based on General Knowledge (GK) and General Science (GS) Questions for UPSC, State PSC, SSC, Police exam, Railway exam, SBI, Bank PO, IBPC, SSC, LDC, UDC, Army, Airforce, Navy, Coast Guard, Bank Clerk, TET and all entrance examination with current affairs News, Multiple Choice Questions (MCQs) available on Website www.IndiaGK.net and Android Apps with daily updates:. Which country posts slowest economic growth in 25 years in January 2016 ? Explanation: For the first time in 25 years, China’s economy grew at its slowest pace at 6.9 per cent in 2015. The growth rate, released by China’s the National Bureau of Statistics (NBS) on 19th January 2016, moderated to 6.8 per cent for the fourth quarter, the lowest quarterly rate since the global financial crisis in 2009, and 6.9 per cent for 2015. The 6.9 per cent growth rate is the slowest in the country since the 3.8 per cent in 1990, a year after the bloody Tiananmen Square crackdown rocked the country and isolated it internationally. Which state is India's first 'Complete Organic State' ? Explanation: Sikkim has become India's first 'Complete Organic State'. Implementing the practices and principles as per guidelines laid in 'National Programme for Organic Products', it has gradually converted 75,000 hectares of agricultural land to Organic farming land. In 2003, Sikkim government had declared their "Sikkim Organic Movement" which aimed to make Sikkim a fully organic state by the end of 2015. Consequently, the State government banned the use and sale of chemical fertilizers and pest controls for agricultural land, leaving farmers with no option but to use organic products. Organic Agriculture helps to preserve bio-diversity and environment in long run. PSLV-C31 successfully Launches India's Fifth Navigation Satellite ------------- on 20th January 2016 ? Explanation: ISRO's Polar Satellite Launch Vehicle, PSLV-C31, successfully launched the 1425 kg IRNSS-1E, the fifth satellite in the Indian Regional Navigation Satellite System (IRNSS) today morning (January 20, 2016) from Satish Dhawan Space Centre SHAR, Sriharikota. This is the thirty second consecutively successful mission of PSLV and the eleventh in its 'XL' configuration. IRNSS-1E is the fifth of the seven satellites constituting the space segment of the Indian Regional Navigation Satellite System. IRNSS-1A, 1B, 1C and ID, the first four satellites of the constellation, were successfully launched by PSLV on July 02, 2013, April 04, 2014, October 16, 2014 and March 28, 2015 respectively. All the four satellites are functioning satisfactorily from their designated orbital positions. Who is author of "The Z Factor," book ? Explanation: Prime Minister, Narendra Modi, on 20th January released a book named "The Z Factor" written by Shri Subhash Chandra. The Prime Minister also recounted some anecdotes about his earlier interactions with Shri Subhash Chandra. Who inaugurates the International Conference on Cooperative Federalism on 20th January 2016 ?